With all of the talk about healthcare reform and Obamacare we need a little humor to get us through the week. This Friday Funny Facebook Quotes can do just that. Everyone has an opinion about politics and how things are going in the country. Let’s all just spread a little hope out there and look forward to a bright future. Laugh a little, smile a lot, be happy and kind to everyone. 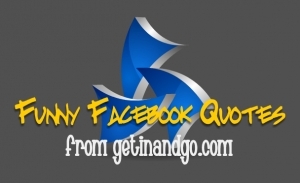 And share these Funny Facebook Quotes with all of your friends. 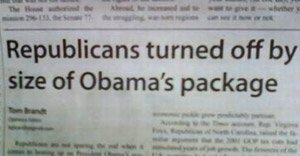 Comment: I thought the package provided stimulus? Just keep driving and do not, I repeat do not stop and buy anymore #@!% Girl Scout cookies! Response: I know, right?!?!! Who’d have thunk it? Comment: Uhhhh……hmmmm….. There are no words. If there is a WILL, there are 500 relatives. Okay my friends – I went and bought a Wii Fit Plus and all it tells me is that I am “unbalanced?” For this I pay money? I have known I was unbalanced for years! Mentally unbalanced – scary how physically unbalanced I am now as well! I’m going to have another brownie! Was thinking that he really can’t be certain that all yellow snow is bad, it could be Mtn Dew flavored snow! It is best to let a friend test it! If I heard correctly, my husband just called our boys “You little semens.” I don’t know what that means. I guess they were at one point. I really enjoyed your article and would like to know if I provide a link back to your site if I can use your article on one of my sites? Yay! I made funny quotes again!